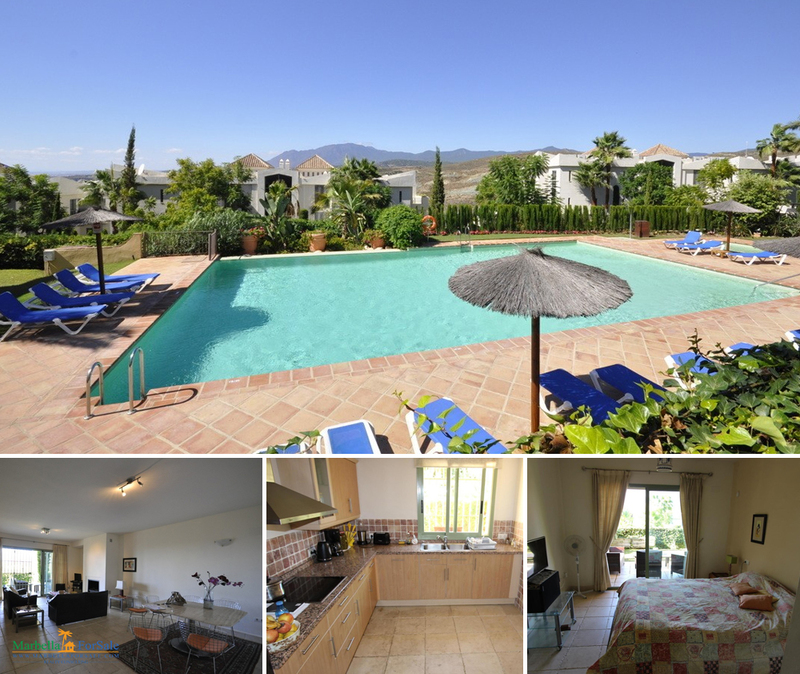 This beautiful apartment is situated in the prestigious Alanda Flamingos complex, a private gated community with 24-hour security. Spacious hallway, large living area with fireplace, dining area with open plan fully fitted kitchen, two guest bedrooms sharing one bathroom, office, guest toilet, garage for 3 cars. 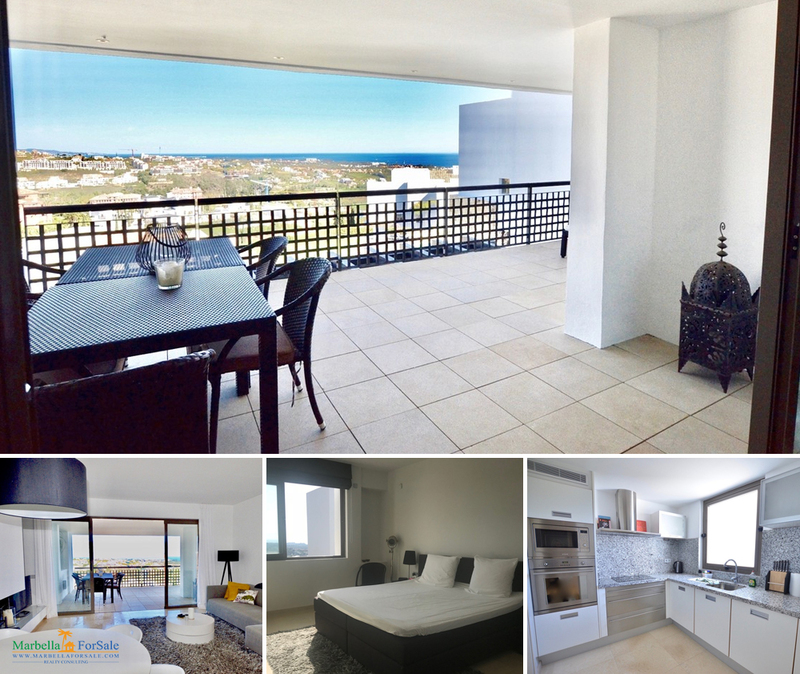 Direct access to the covered and uncovered terraces, the garden and the private heated pool. 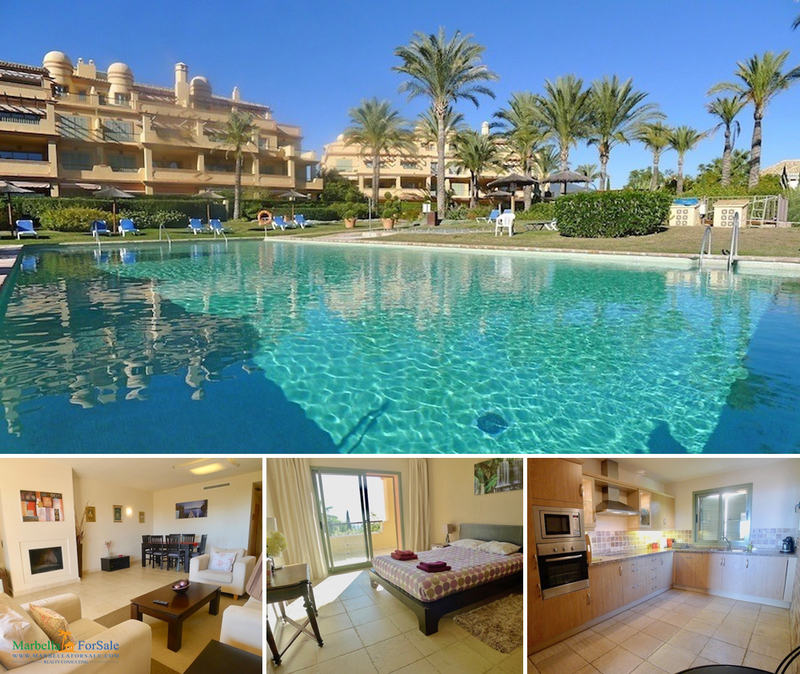 Stunning 3 bed, 3 bath apartment in the exclusive Four Seasons development at Los Flamingos Golf Resort; home to 3 quality 18-hole courses and the 6-star Villa Padierna Palace Hotel & Spa. 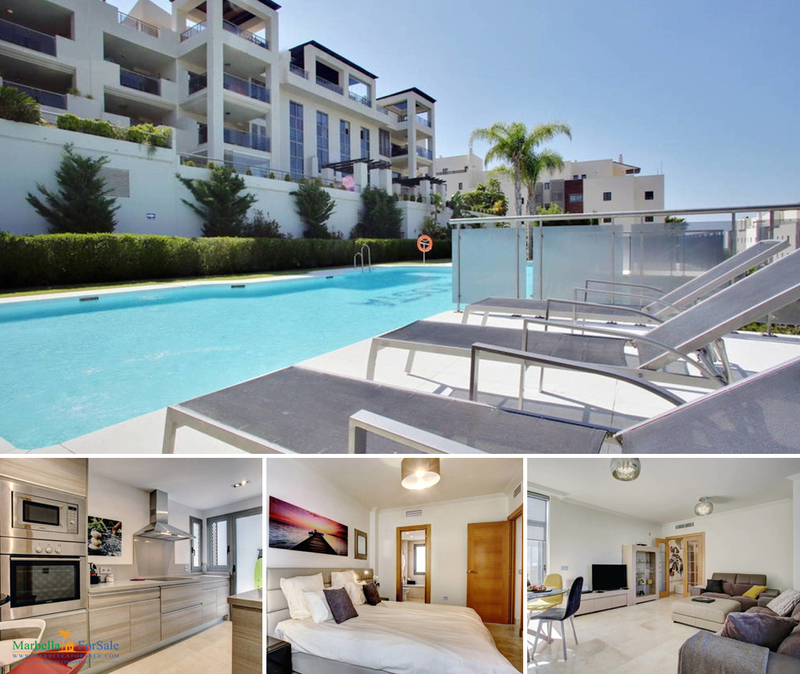 This spacious and elegant first floor corner apartment faces south and enjoys views to the Mediterranean and Gibraltar. 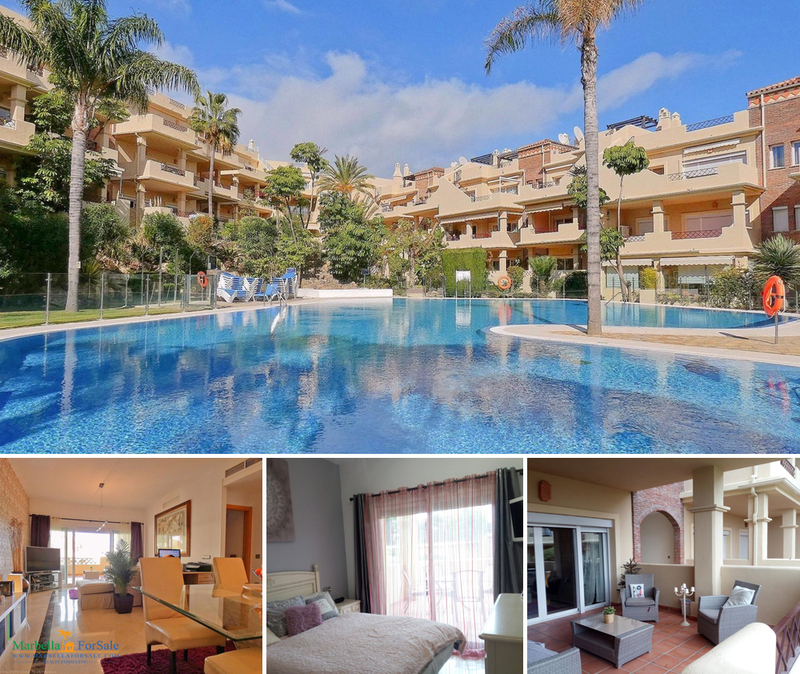 This South-East orientated ground floor apartment features a private garden as well as a large covered terrace and nice open views allowing a lot of light into the apartment. The apartment offers a very large living room-dining room leading out to the terrace, as well as both bedrooms. The main bathroom has a bathtub and shower while the second bathroom has a bathtub and both have underfloor heating.